Since 2005, the number of gins available on the market have increased by over 1000%. Reduced distillery regulation and a renewed interest in cocktails and herbal spirits have fueled this surge. The Gin is In started in 2009 to evangelize the spirit through spirit critiques and tasting notes. 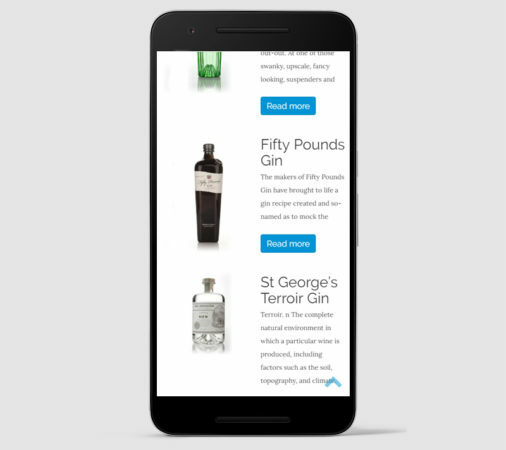 As of 2016, The Gin is In averaged over 50,000 unique visitors a month and had over 350 reviews. 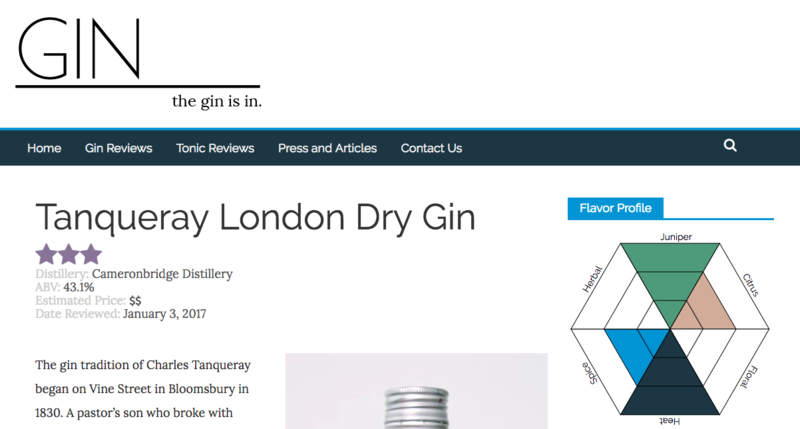 The Gin is In, screenshot from January 2017. The flavor diagram I created is in the lower right hand corner. I am the chief writer and content producer, but also as a designer, the site has been a proving ground for research in how gin drinkers consume gin and content about spirits. Most decisions at the point of purpose are heavily swayed by bottle design, brand recognition and tasting notes, either created by the store or the distillers themselves. The ubiquity of the mobile web has changed that. Savvy consumers now research spirits when they’re in the store. They ask trusted friends and look to trusted resources for information on what they’re buying. Ratings are a double edged sword for content producers. Readers like easily digestible summaries, such as “stars” or other numerical ratings; however, the world of taste is colored by subjective nuance. For example if a critic gives a spirit “five stars” and a reader doesn’t like the spirit; the reviews and ratings lose value. In 2011-2012, observing this phenomenon I interviewed gin drinkers and noticed how they talked about the spirits they liked and didn’t like. Often times their perception of a gin was based on a few general characteristics. “Citrus,” “Juniper” (the main flavoring ingredient in gin), “Floral,” “Spice,” and perceived “Heat” (how intense is the alcohol). Rather than simply offering my rating, I broke the rating down into a few slightly more objective characteristics. 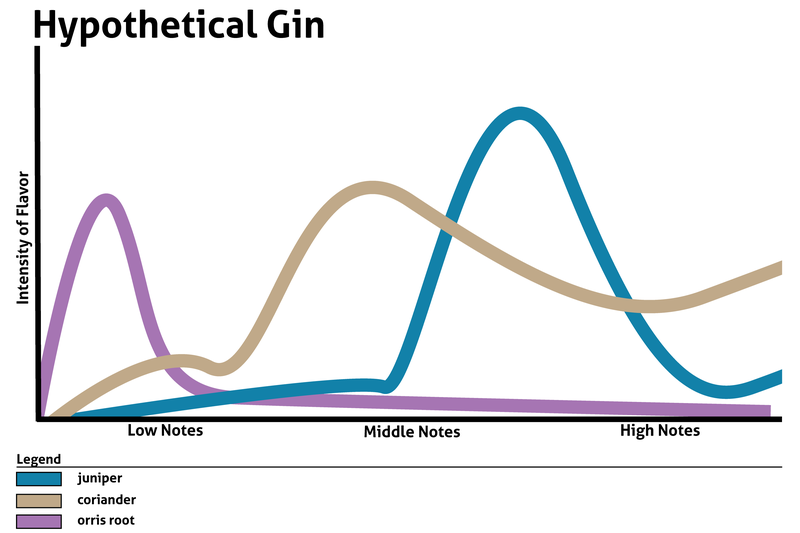 Although the Gin is In still offers scores from 0-5, each gin is rated in 6 (based on new research from 2015 that revealed a sixth character people described as “Herbal”) areas in relatively intensity from 0-3. Since the Pentagon was launched, new and repeat visits increased by over 500%, and the Pentagon scores have become the site’s trademark feature. A sketch from the initial flavor diagram concepts. 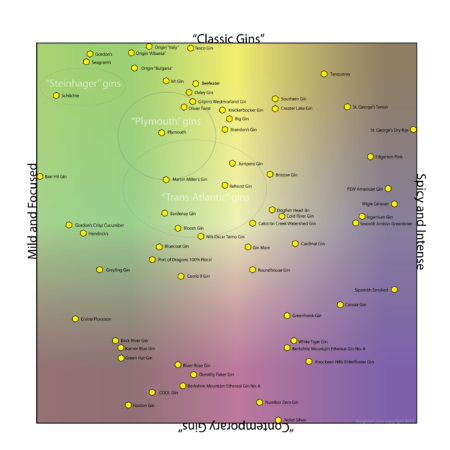 The names underneath are some gins which users thought “personified” the extreme of the category shaded above. 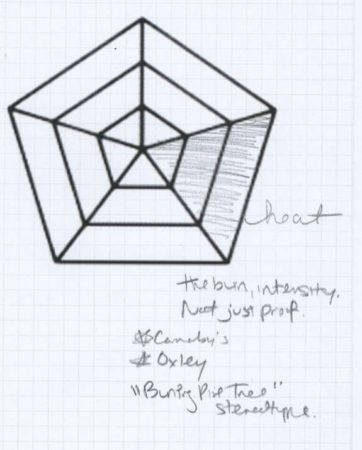 I’ve experimented with other diagrams for visualizing taste in spirits; however, some like the one above was less successful. This was an early attempt to visualize how flavors mapped across different types of gin. This visualization went mildly viral in 2012. Readers liked it because it emphasized similarity among brands; however, users weren’t able to understand anything about the spirits’ taste, especially as you get further away from the edges.